It is important to wear soft, comfortable clothing when you meditate. This makes it easier for you to focus on your inner self. The clothes you wear can set the tone for your meditation. Choose colours that support the purpose of your meditation session. If you meditate in public, consider how your meditation clothing affects the people around you. Wear a meditation outfit that gives you confidence. There is no right or wrong clothing to meditate. Wear what feels good for you. Wear loose clothing. Avoid tight fitting clothing to prevent you from breathing and meditating comfortably. Choose clothing on the loose side, but not so loose that it bothers you or gets in the way. For many practitioners of Zen meditation, wearing a special meditation toga strengthens their strong commitment to their beliefs as they reflect on their personal vows and a strong connection to the three jewels: the Buddhist teachings known as Dharma, the teacher who becomes Buddha, and the spiritual community known as Sangha. 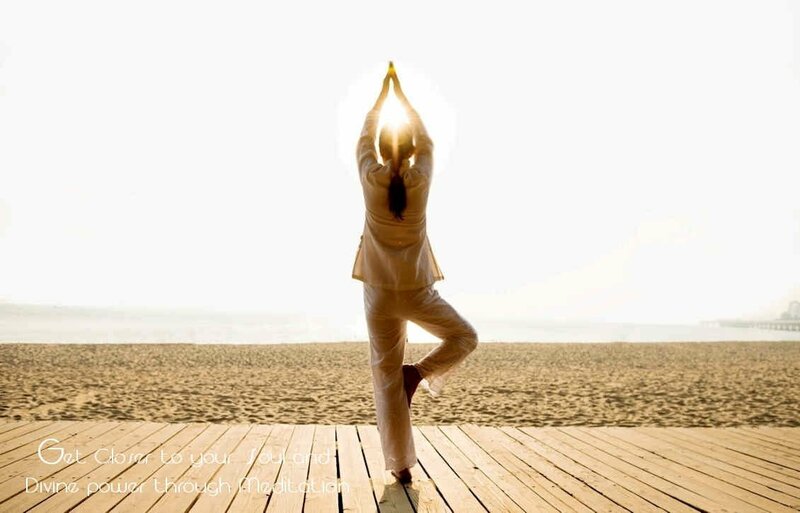 Zen meditation clothing offers a higher level of physical comfort than regular clothing during meditation. Regular clothing is often experienced as uncomfortable and feels tight and steady when you are in meditation positions. 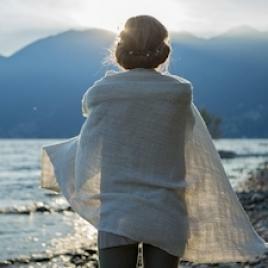 Because the Zen meditation toga is the outer physical reflection of the inner being of the Zen practitioner, many choose to wear a Kimono or a Jubon underneath. These garments help to protect the meditation coat from, for example, perspiration. Meditation jackets, also called meditation gowns, are made in different styles, colours and fabrics. The different styles Zen meditation jackets are Lay coat, a Kimono, a Hakama, the traditional Zen Meditation Gown and the Naga Samue. The basic colours of meditation gowns are usually black or brown. But there are also people who opt for light grey, light blue, dark blue or white. Although monastic meditation coats can also be brown or black, there are other popular colours too, including orange, white and saffron. 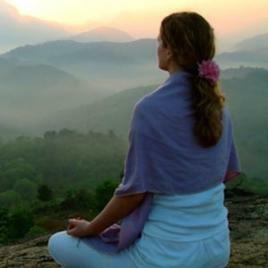 Most Zen practitioners prefer meditation clothing made of natural fabrics, such as cotton or silk. For some people, the use of natural substances also shows a symbolic connection with the earth. Other popular fabric choices are a mix of cotton and polyester, linen, silk or polyester. 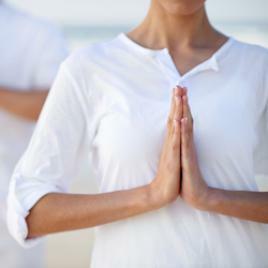 Why do yogis wear white? Wearing white strengthens your healing shield. Your aura is your shield and filters what is not good for you. White is reflective in nature. Negativity is directly diverted from you. Give it a try and see if you are in a lighter mood on days when you wear white. A lighter tuning will further protect you by attracting similar thoughts. Wearing white increases your aura. Your aura is an electromagnetic field that is a vessel for your life force. If it is strong, you feel powerful and healthy, and you will have an uplifting effect on the people around you. Wearing white increases this potential. Moreover, you will look more radiant and light up by both the nature of the white and the expansion of your auric field. You can go inside with white. The reflective nature of white is not just physical. Wearing white affects the interface between you and the outside world. It will be easier for you to go in and meditate, and to stay true to yourself. People will deal with you at a higher level. Because white is reflective in nature, others will see themselves when approaching you and therefore have to deal with themselves before they come to you. They will probably deal with you differently because of your heightened aura. White balances. Colours create an uncontrollable action in your subconscious of inspiration, productivity and expansion. Colours have an excessive effect on consciousness. All colours are in the white light. You can only record the frequencies of the white light that you need, no matter who you are, because all frequencies are in it.